Where can i get digital elevation data for Mars? HiRISE DEMs are available here: https://www.uahirise.org/dtm/ Keep in mind that the corner coordinates can be of by quite a bit. Disclaimer: all opinions, ideas and information included here are my own,and should not be intended to represent opinion or policy of my employer. I am currently doing some Mars cartography work and just realised that Spirit and Opportunity tracks in Mars2000 Sphere projection published at Analyst's Notebook don't align with Google Earth kml based data and vice versa. Does anyone have any idea which projection is used to display Google Mars data, as it does not seem to use standard GSC/WGS84? Thank you. I don't know, but I looked at the traverse map in Analysts Notebook and it matches the background map properly. That map is in a cylindrical projection. It might be that cylindrical projection data have been mapped straight onto the GE globe without correction. There is also combined MOLA/HRSC DEM here but for now server is down thanks to US budget shutdown. 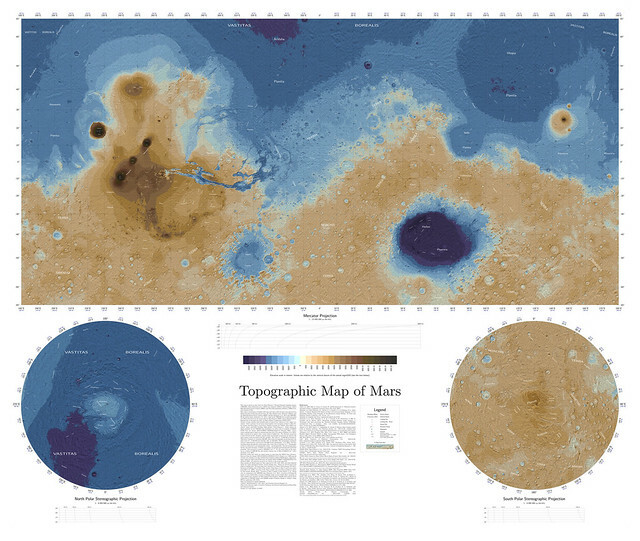 New version (1.2) of my Topographic Map of Mars. so now map shows almost twice as much details. There are also new mini scale bars directly in the map so estimating size of surface features is now much easier when browsing at full resolution. PDF version (171 MB!) contains on top of that more detailed regional maps of most of the landing sites including some future ones (Jezero crater and Oxia Planum). More detailed description of changes is on my blog (in Czech language but there is a Google translate button on the page). Btw, about the deepest point in Hellas, which figure you would recommend for EPO purposes, please : the one derived from MOLA or the one from HRSC ?  I would recommend HRSC result. MOLA result is in this case affected by lack of coverage as it clearly missed the lowest point. It's a pity that MOLA suffered fatal malfunction long before MGS' end of mission. We could have better coverage of the Martian surface by the laser altimetry. Thank you! I would recommend HRSC result. MOLA result is in this case affected by lack of coverage as it clearly missed the lowest point. First of all, thank you Phil very much for your attention, I was really hoping for your answer. Yes, the Analyst's track aligns perfectly with HiRISE imagery as well as with stereo DTM's in Equirectengular Cylindrical Projection using Mars2000 sphere. What does not align are Opportunity tracks (and other Mars data) I originaly got in KML format. The first picture illustrates the point. 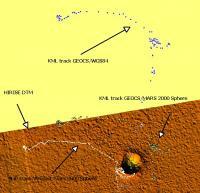 Even when the track is reprojected from basic WGS84 to Mars2000 sphere datum, KML track still won't align. And vice versa. When I load SHP Analyst's track into GE Mars, it is off by about 200 meters (second picture), but all KML based data aligns nicely. It appears to me the problem lies with the the fact the apparently unknown datum other than WGS84 or Mars2000 Sphere is used by Google Mars, and so the transformation does not work out. Is it in the right place or is off by the same amount as the other KML Mars data?